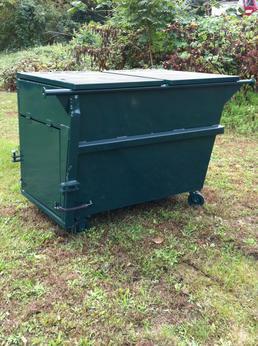 Paulsonbilt's 2 yard rear load compaction container. 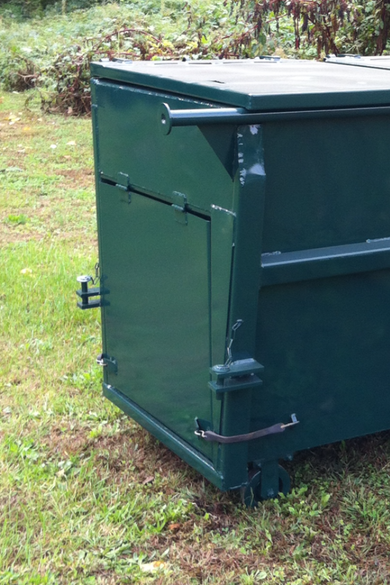 Custom built to fit your compaction needs of compactor. Hold down bar not shown in photo. Please consider our no cost to you demo!